Official description: This sessionable super gose is brewed with eight heroic ingredients: prickly pear, mango, boysenberry, blackberry, raspberry, elderberry, kiwi juices, toasted quinoa and an ample addition of red Hawaiian sea salt! Okay, so technically that’s nine, but it ‘gose’ without saying that there’s going to be salt. These unique ingredients give this beer a vibrant red color, with delicious flavors of berries and watermelon, along with a tart – yet refreshing – finish. 5.3% ABV. More about the beer. SuperEIGHT debuts this month arriving on store shelves in 6-packs of 12oz cans. DFH’s website has this listed as an April to December release. 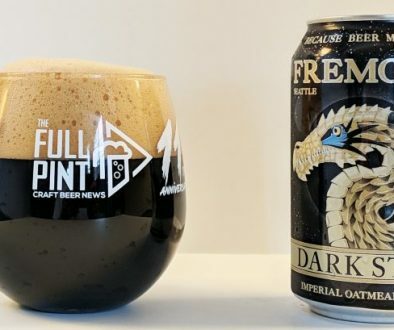 I didn’t include the full beer description above as it includes a lengthy story that I urge you to read. Essentially, SuperEIGHT refers to the ingredients list as well as to the photo film size Super 8. In fact, this beer is a collaboration with Kodak film inspired by a story that the pH of sour beer could develop photo film. It’s a bit gimmicky for me. I should note that on the can’s label, the beer is called a “Super Gose,” which I originally thought meant it was a higher alcohol imperial gose. Similar nomenclature is used for super saison. However, alcohol is in the normal range at 5.3%. “Super” in this sense must refer to the superfoods added to the recipe like quinoa, though I still think it is misleading. 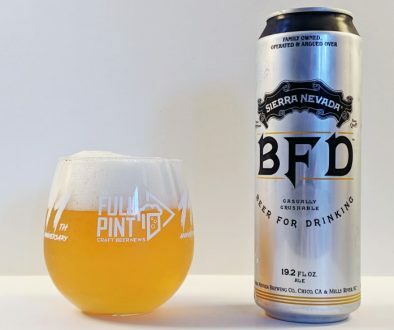 I’m sampling this from a 12oz can with an easy-to-read packaging date of 3/22/19 printed on the bottom. Into my glass, SuperEIGHT is a slightly hazy, purplish pink color with light pink foam on top. It takes several minutes for the head to collapse to nothing. It really is a spectacular color to behold in the glass. Bringing up my glass, the nose is initially quite muted. I get a whiff of saltwater and a growing red berry character that is somewhere between raspberry and cherry. As it warms up, I get more of a fruit punch nose along with ample green watermelon rind. It isn’t as fruity as I expected, though, as it remains relatively nuanced. Flavors are similarly a bit underwhelming. Given the beer’s label artwork and recipe, SuperEIGHT isn’t exploding with a variety of fruit juices like you might expect. In my opinion, there isn’t enough sweetness or saltiness to really bring out the variety of fruit juices used. It comes across as similar to Spindrift raspberry sparkling water with a nice hint of fruit juice but is followed by a watery, bland finish. Green watermelon rind ends up dominating the flavor profile rather than a vibrant fruit medley. Acidity is mid-range at a 4 out of 10 level while sweetness is low at a 1/10. Saltiness, a major part of this style, is barely noticeable at a 2 out of 10. Just a touch of creaminess in the body perhaps from wheat in the recipe and/or from lactic acid keeps the beer together for me. Remember that massive special ingredients list above? Prickly pear, mango, boysenberry, blackberry, raspberry, elderberry, kiwi, toasted quinoa, and red Hawaiian sea salt? I’d be hard pressed to pick any of them out in the flavor besides maybe raspberry. 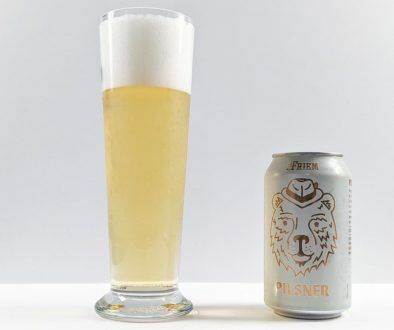 SuperEight’s persistent high carbonation, nicely tempered acidity, lack of sugar and alcohol, and soft fruit juice character all combine to make this a refreshing beer first and foremost. However, the fruit flavors are somewhat muted and don’t really pop in the way that other fruited Berliner Weisses and goses have managed to exhibit. (Stay tuned for a review of Wild Barrel’s Vice POG). As warmer weather approaches, I still stick by my big recommendation from two years ago, Dogfish Head’s SeaQuench Ale. SuperEIGHT doesn’t quite capture the best qualities of a kettle sour ale and is lacking in the fruit juice department despite the label art and plethora of fruit additions. This is nearly identical to my criticism of DFH’s Dragons & YumYums where I also mentioned watermelon rind flavors and difficulty picking out the variety of special ingredients. SuperEIGHT has a leg up, though, with its solid acidity. I’m sure it will be a major hit given its marketing, vibrant pink color, and novel ingredients list. But some drinkers, especially those really looking forward to SuperEIGHT’s crazy fruit juice blend or perhaps wanting to taste something totally new from things like the toasted quinoa addition, will find the beer to be too familiar and barely exhibiting anything displayed on the label. I think technically speaking, it’s a great beer on its own. But in terms of practicing what it preaches, SuperEIGHT is a disappointment.